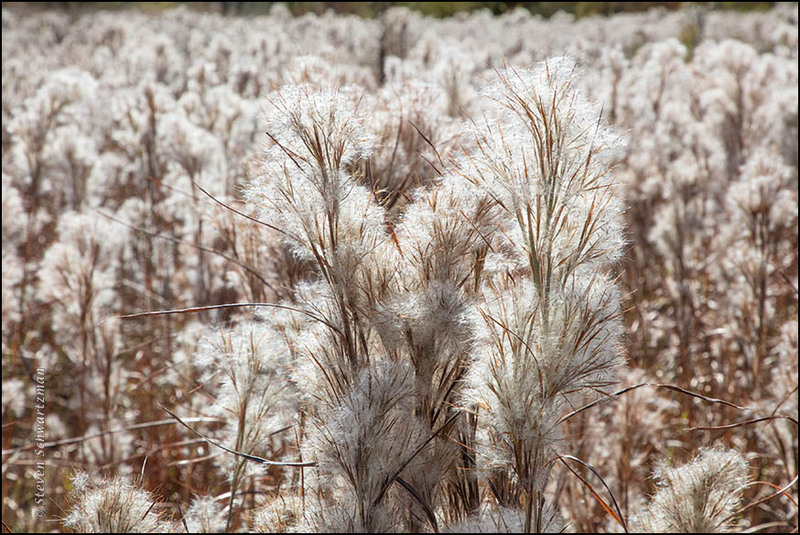 A first glance may make you think you’re seeing a dusting of snow, but no: it was fluff from cattails (Typha spp.) 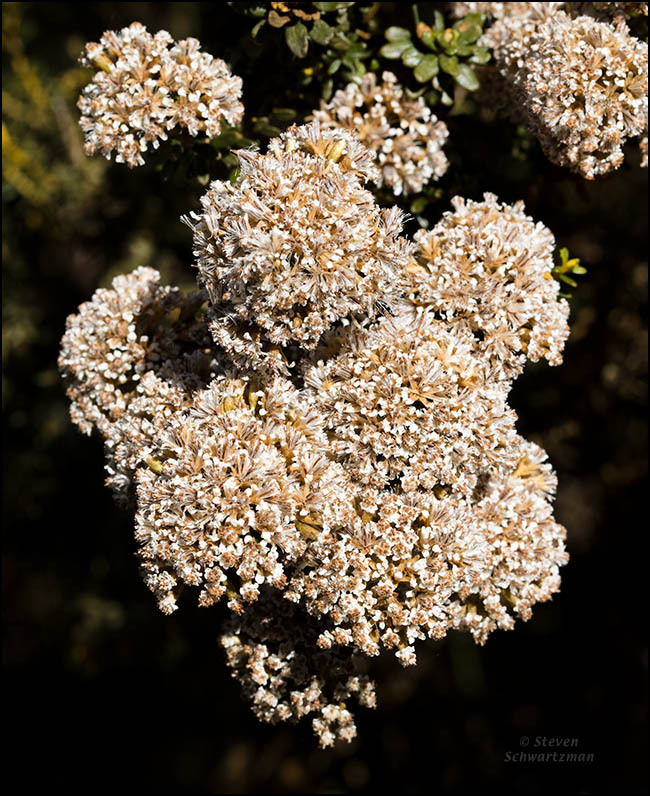 and goldenrod (Solidago altissima) that had settled indiscriminately over all the nearby plants at the Arbor Walk Pond on December 3rd. This is another good example of point 15 in About My Techniques. 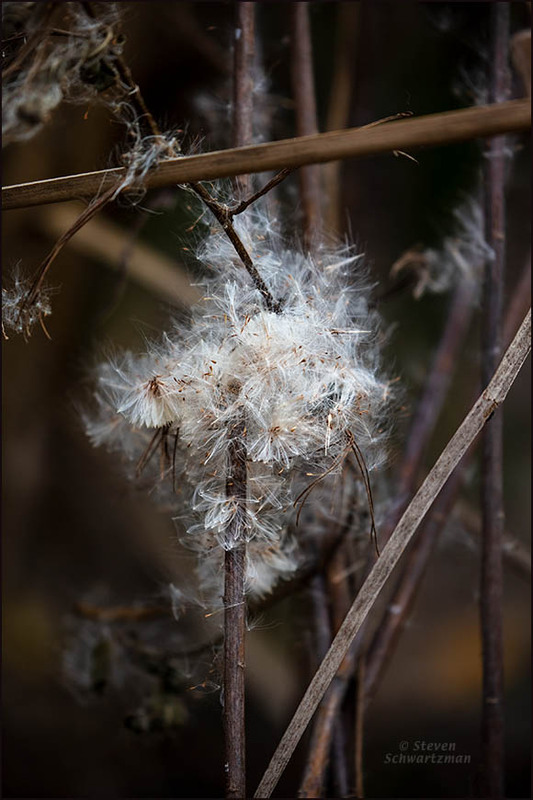 Below is a closer and darker take on a clump of cattail seed fluff that had fallen onto a dry goldenrod plant. A year ago today we spent several hours at the Orokonui Ecosanctuary north of Dunedin. 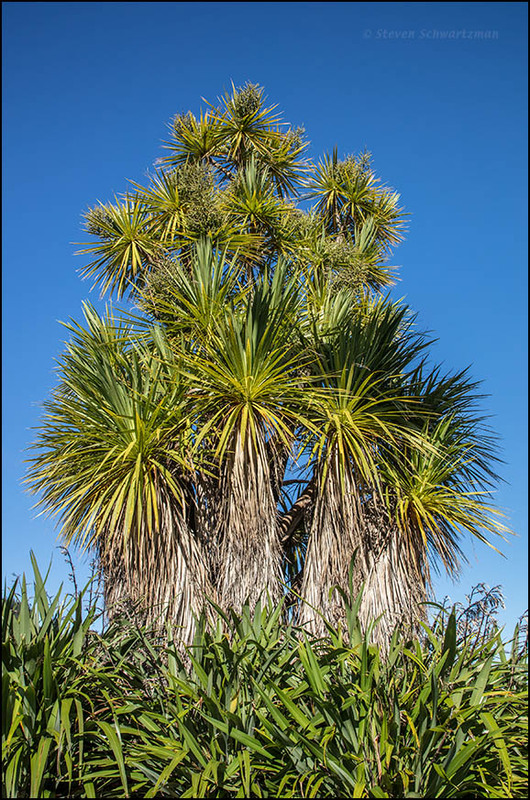 At the entrance we gazed upon the broad and healthily handsome cabbage tree (Cordyline australis) shown below. 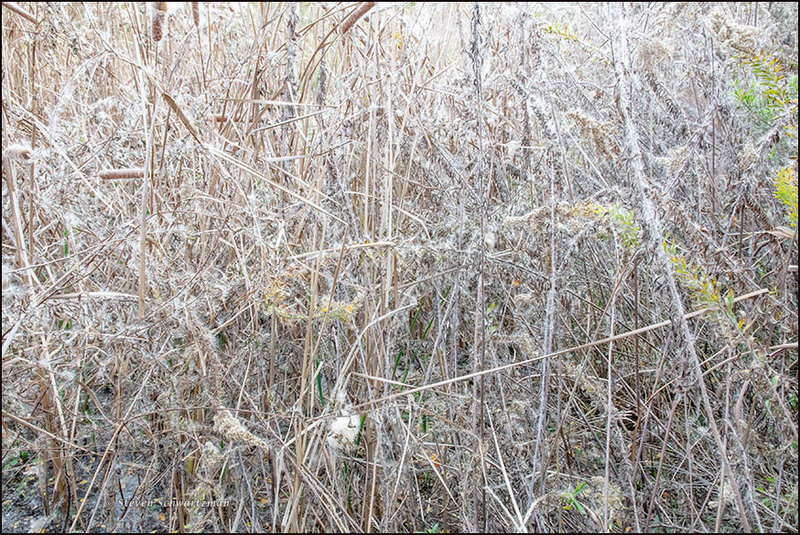 In the foreground you see a stand of the ubiquitous plant known as flax in New Zealand English, harakeke in Māori, and Phormium tenax in botanese. 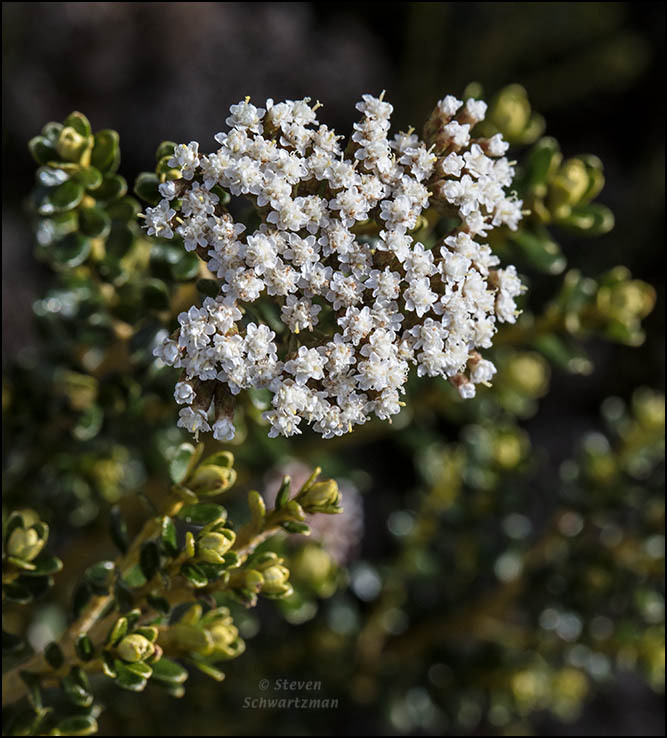 Among the kinds of native plants inside the reserve we saw one with clusters of white flowers. 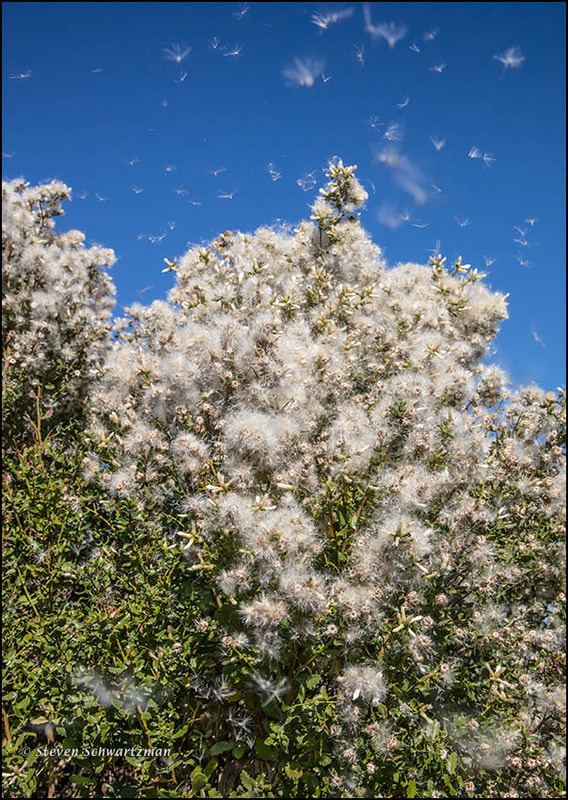 It turned out to be Ozothamnus vauvilliersii, known as tauhinu and mountain cottonwood. 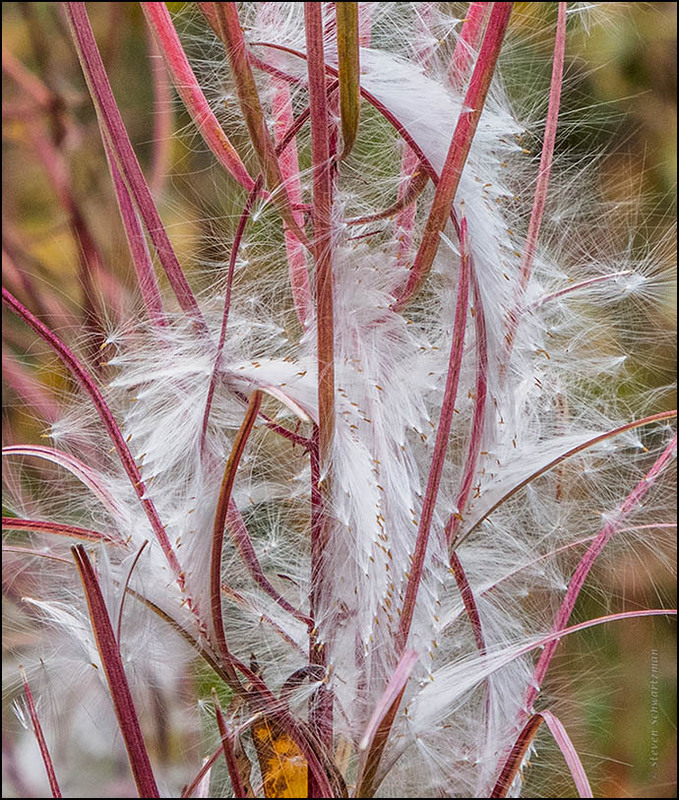 To tell the truth, before the trip to the Rocky Mountains in Montana, Alberta, and British Columbia, I knew almost nothing about fireweed (Chamaenerion angustifolium). 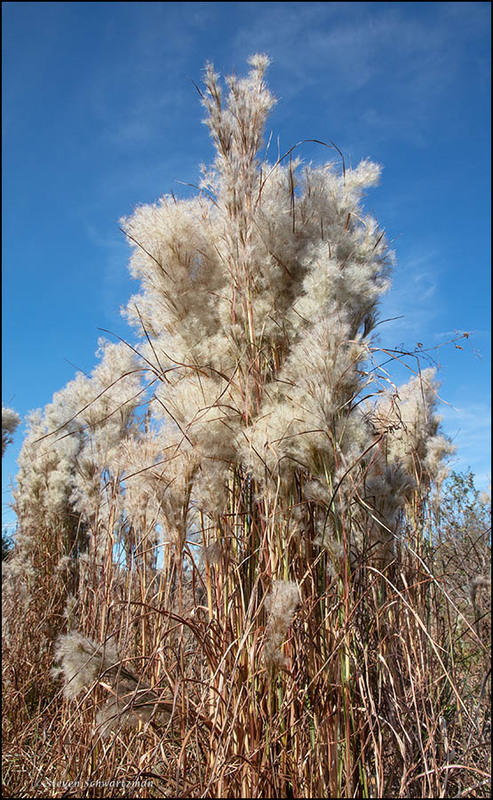 In nature shows on television I’d occasionally caught a glimpse of the plants flowering, and that was about it. 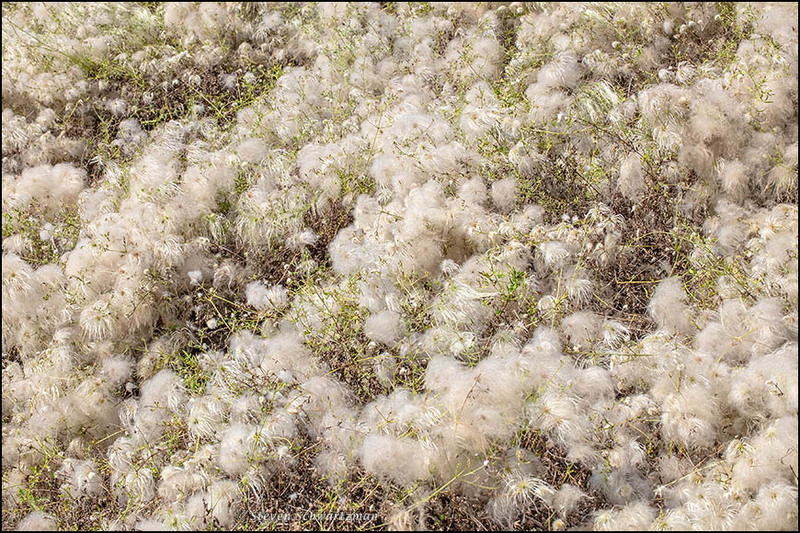 In addition to yesterday’s strictly “vegetarian” post, three previous photographs showed you fireweed flowers and animals. 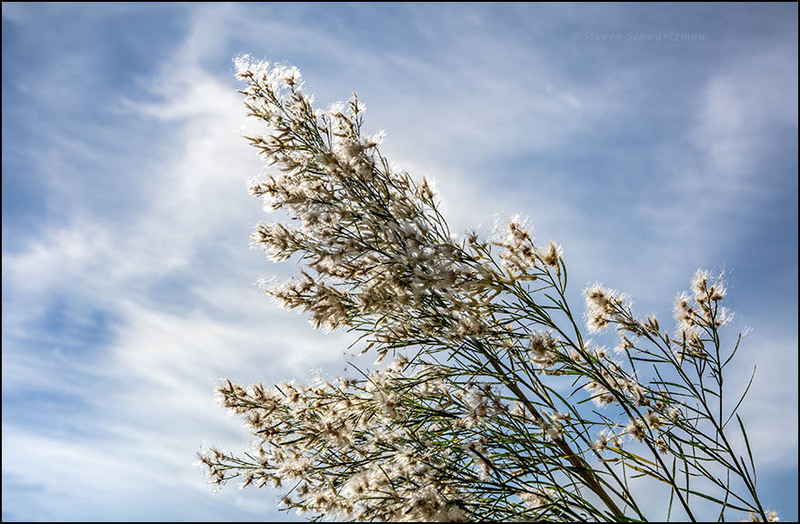 In one case it was with a bumblebee, in another with a ground squirrel, and the third with a caterpillar. 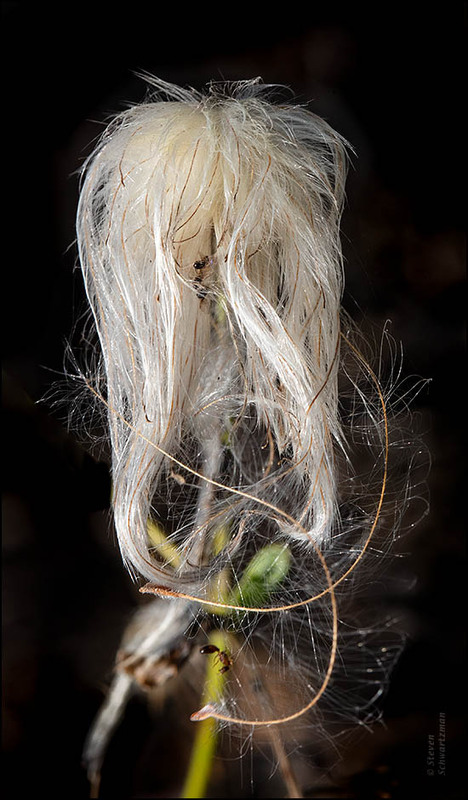 What impressed me about the plant in its own right was its seeds. 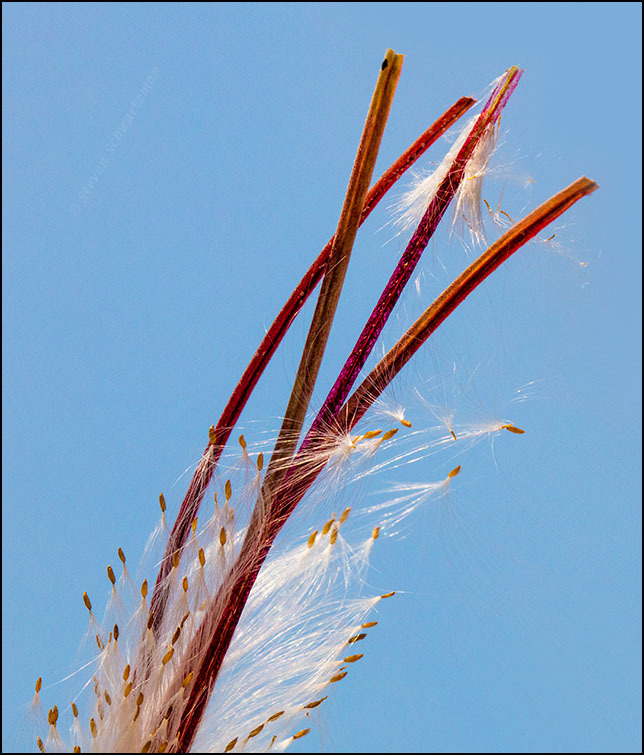 The reddish seed pods are long and narrow, and when they open, which surprisingly often happens from the proximal rather than the distal end, they release seeds attached to silky strands, much like milkweed seeds. 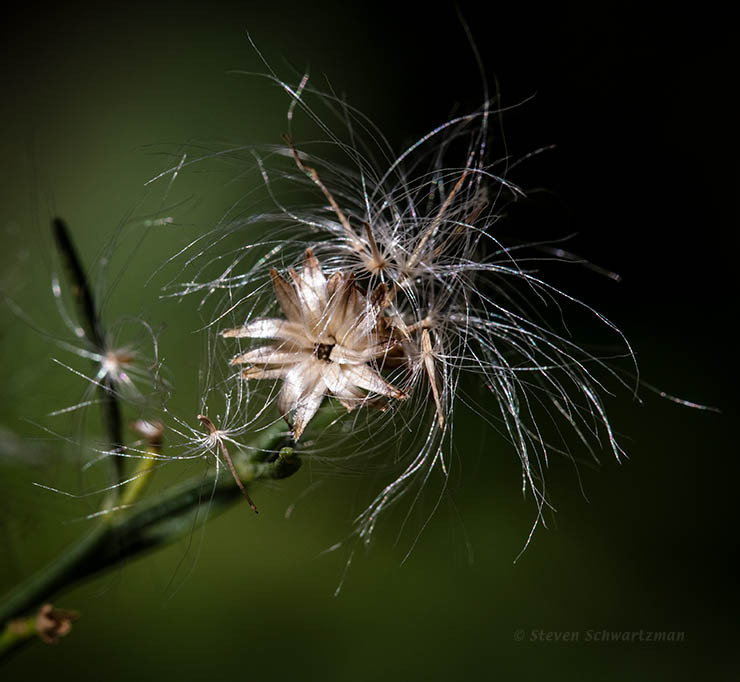 At the moment when I took the photograph above in Waterton Lakes National Park on August 29th, the newly freed seeds still partly preserved the alignment they’d had just a short while earlier when compressed inside their slender pods. That same temporary clinging to the past is visible in the photograph below, which is from near the shore of Emerald Lake in British Columbia’s Yoho National Park on September 7th.